2. 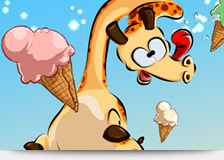 Our Games If you don't like them, your kid will! Buy them anyway. Take a look at what we’ve done so far. Each game is a learning journey, as they say. 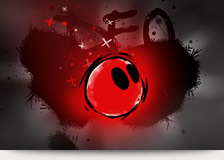 We enjoy making games just as much as we enjoy playing them. At the end of the day, it’s all about having fun, right? Well, that and paying bills…I guess. 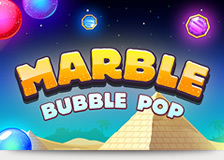 Marble Bubble Pop is a classic shooter game based in the ancient temples of the Egyptian civilization. Pop, match and create chain reactions of similarly-colored marble combos, eliminate chains of marble bubbles and win big. 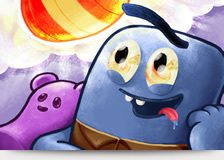 Improve hand-eye coordination, enhance your mind’s focus and visual perception abilities all in a fun and addictive way. Can you achieve the impossible? 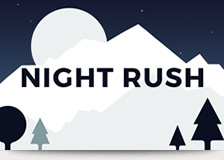 Download Night Rush now and go on an endless combining spree! Daydream with Poncho as he and his sidekick, Cid, escape their heartbreaking reality of working for Broccoli Co., and enter a winding world of unimaginable possibilities. You are the glimpse of hope for the resurrection of life. Forage vast space and restore what has been ruined. You are Deo. Something has gone wrong; you regain your conscience and realize you’re stranded in the middle of nowhere! You must now find your way back home, but there’s a small problem – you’re at the North Pole!